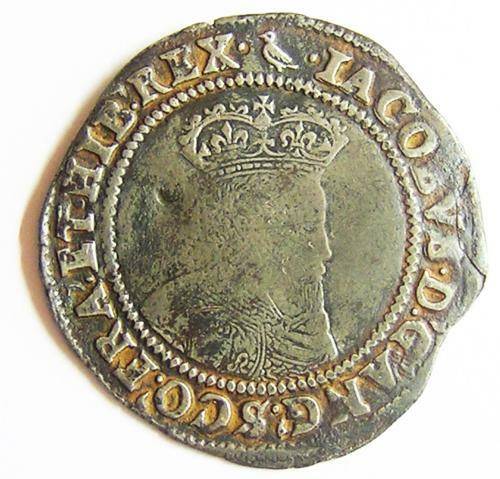 This is a nice silver shilling, minted in London between 1604 - 1605 A.D. It was struck from 'fine' silver to replace Elizabeth's war-time base money. It bears the Second bust of James, with a pointed beard merging with armor. The reverse with the Irish harp. Mintmark is a martlet. The coin has a few flat spots but a nice excavated tone and in at least VF for the issue. DATE: 1604 - 1605 A.D.